Cell Sites Avoid Local Regulations - Antenna Management Corp.
How do cell sites avoid local regulations? This is one of the many areas that lend itself to confusion and misinterpretation as a result of Canada’s federal state and shared responsibility between federal and provincial governments. Under the Canadian constitution the Federal government has jurisdiction over communications and Provincial and municipal governments have jurisdiction over local works, property, and civil rights. In reality Federal Jurisdiction over the installation of cell antennas is unclear and not in anyway settled. The uncertainty stems from the simple fact that radio communications was not invented in 1867 when our constitution was signed into law. The combination of Section 92(13) and Section 92(16) empower local governments (and municipalities by local charter) the legislative power to regulate a wide variety of matters such as land use, commercial activities, health and safety and private rights all of which are associated with and implicated in the physical apparatus of radio communications. To date there has been no decision by the Supreme Court of Canada beyond the Radio Reference in respect to radio transmissions. The Supreme Court has ruled that cable lines and telephone lines are Federal jurisdiction. However, the jurisdictional issue of cell sites or for that matter any antennas remains undecided. There is one case of interest. It remains the one case that exists to support the proposition that municipalities may regulated the commercial aspects of a broadcasting undertaking, that of R. v. City of New Westminster (1966), 55 D.L.R. (2d) 613 (B.C.C.A.) A federally incorporated cable television company holding a Department of Transport license had applied for and been refused a municipal trade license. The Company subsequently challenged the applicability of the City’s trade license by-law on the basis that it was both federally incorporated and, as a broadcasting undertaking, within exclusive federal jurisdiction. Of Appeal sustained the bylaw and went on to say that the cable company was bound by relevant provincial laws and municipal laws and regulations concerning business operations. This decision may leave it open for municipalities charging cell companies for a business license for each cell site. It is clear that recent trends in constitutional interpretation would favor provincial claims to greater involvement in the regulation of physical apparati, including antennas. While the Supreme Court of Canada has yet to directly consider the interaction of federal jurisdiction over the physical aspect of radio communications and provincial interests there is one recently commenced lawsuit in British Columbia between the City of Colwood and Rogers and CTV in respects to various antennas on Triangle Mountain. Click here to view the Notice of Civil Claim. It is against this jurisdictional no man’s land that one must consider CPC-2-0-03. Some cell phone companies have been recently waiving CPC-2-0-03 at building owners and claiming they do not have to get permits. This is wrong and a gross misinterpretation of CPC-2-0-03. (link 2 ) See http://www.ic.gc.ca/eic/site/smt-gst.nsf/eng/sf08777.html for a copy of CPC-2-0-03. As is apparent from our constitutional discussion above it is not even known who has jurisdiction over radio antennas within municipalities. Moreover a careful reading of CPC-2-0-03 makes it clear that it does requires the involvement of municipalities and in fact defers to them. Of notable significance it expressly excludes antennas on buildings leaving it wide open for municipalities to require permits. As a condition of license, all wireless carriers must follow the procedures outlined in two Industry Canada Client Procedure Circulars, one that speaks to land use consultation and the other to colocation. In exercising its authority, Industry Canada makes use of the input and expertise of other federal departments and agencies along with local land use authorities. 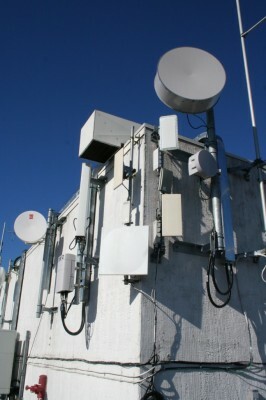 However certain antenna structures are exempt under Section 6 from CPC – 2-03. Specifically: “new antenna systems, including masts, towers or other antenna –supporting structure, with a height of less than 15 meters above ground level. So this means that the normal cell site antenna on a building is excluded and therefore a municipality is open to require permits. 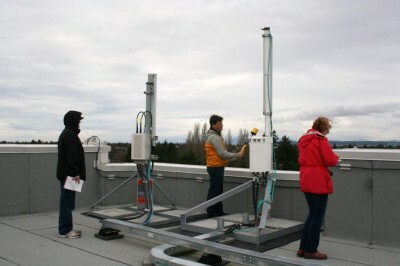 Municipalities also require that each addition to or change in the antenna installation be re permitted. Many municipalities have a system of fines and penalties which they may levy against building owners in the event of non-compliance. At AMC we have considerable experience in dealing with these various land use authorities and assist building owners in determining if the various planning and permitting requirements have been met by cell providers. ← Market Rents – how are they determined – site installed revenue potential.